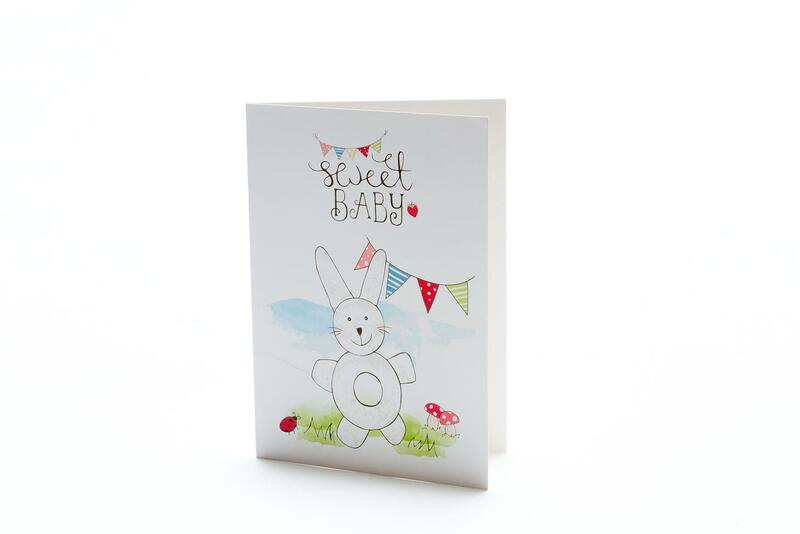 Sweet Baby White Bunny Ring greetings card. This card has been left blank so that you can write your own message - perfect as a Christening, newborn baby or baby shower or even a birthday card. Designed and printed in UK. Best Years are a soft toy manufacturer based in the UK. All of our knitted soft toys and birthday cards are available to consumers and to wholesale, retailers and museum customers.